This article is about the currency in the Democratic Republic of the Congo. For the Republic of Congo currency, see Central African CFA franc. The World Factbook, 2017 est. The Congolese franc is the currency of the Democratic Republic of the Congo. It is subdivided into 100 centimes. Currency denominated in centimes and francs (Dutch: Congolese frank) was first introduced in 1887 for use in the Congo Free State (1885-1908). After the Free State's annexation by Belgium, the currency continued in the Belgian Congo. The francs were equal in value to the Belgian franc. From 1916, the Congolese franc also circulated in Ruanda-Urundi (present day Rwanda and Burundi) and, from 1952, the currency was issued jointly in the names of the Belgian Congo and Ruanda-Urundi. After the independence of the Democratic Republic of the Congo in 1960, Ruanda-Urundi adopted its own franc, whilst, between 1960 and 1963, Katanga also issued a franc of its own. The franc remained Congo's currency after independence until 1967, when the zaïre was introduced, at a rate of 1 zaïre = 1,000 francs. In 1887, holed, copper coins were introduced in denominations of 1, 2, 5 and 10 centimes, together with silver coins worth 50 centimes, and 1, 2, and 5 francs. Coins ceased to be minted of silver in 1896. Holed, cupro-nickel 5-, 10- and 20-centime coins were introduced in 1906, with the remaining copper coins (worth 1 and 2 centimes) minted until 1919. Cupro-nickel 50-centime and 1-franc coins were introduced in 1921 and 1920, respectively. The coinage of Belgian Congo ceased in 1929, only to be resumed in 1936 and 1937 for the issue of nickel-bronze 5-franc coins. In 1943, hexagonal, brass 2-franc coins were introduced, followed by round, brass coins worth 1, 2 and 5 francs, and silver 50-franc coins, between 1944 and 1947. In 1952, brass 5-franc coins were issued carrying the name "Ruanda-Urundi" for the first time. Aluminum coins worth 50 centimes, 1 and 5 francs followed between 1954 and 1957. In 1965, the only franc-denominated coins of the first Democratic Republic of Congo were issued, aluminum coins worth 10 francs. As with Belgium's own coins, some types were issued in two distinct versions, one with French legends, the other with Dutch legends. In 1896 the Independent State of Congo issued 10 and 100 franc notes. In 1912, the Bank of Belgian Congo introduced 20 and 1000 francs, followed by notes of 1, 5 and 100 franc notes in 1914. The 1-franc notes were only printed until 1920, whilst 10 franc notes were introduced in 1937. 500 francs were introduced in the 1940s, with 10,000 francs introduced in 1942. In 1952, the Central Bank of Belgian Congo and Ruanda-Urundi introduced notes for 5, 10, 20, 50 and 100 francs, with 500 and 1000 francs added in 1953. In 1961, the National Bank of Congo introduced notes for 20, 50, 100, 500 and 1000 francs, some of which were issued until 1964. In 1962, the Monetary Council of the Republic of Congo introduced 1000 franc notes, which were notes of the Central Bank of Belgian Congo and Ruanda-Urundi overprinted with the Monetary Council's name. In 1963, the Monetary Council issued regular type 100 and 5000 franc notes. The franc was re-established in 1997, replacing the new zaïre at a rate of 1 franc = 100,000 new zaïres. This was equivalent to 300,000,000,000,000 old francs. Coins were never issued as even fractional units of 1, 5, 10, 20 and 50 centimes were issued in banknote form only. In July 1998, banknotes were introduced in denominations of 1, 5, 10, 20 and 50 centimes, 1, 5, 10, 20, 50 and 100 francs, though all are dated 01.11.1997. 200-franc notes were introduced in 2000, followed by 500-franc notes in 2002. As of July 2018, the only negotiable instrument in circulation in the Democratic Republic of Congo are banknotes of 10, 20, 50, 100, 200, 500, 1,000, 5,000, 10,000 and 20,000 francs. Meanwhile, merchants in Kinshasa remain skeptical about the 5,000-franc note due to what has been described as a spate of counterfeiting of this denomination, but which is also suspected to be an irregular or unauthorised issue of the genuine note, bearing the serial number suffix C.
In 2010, Banque Centrale du Congo issued 20 million 500 franc banknotes to commemorate the country's 50th anniversary of independence from Belgium. On July 2, 2012, the Banque Centrale du Congo issued new banknotes in denominations of 1,000, 5,000, 10,000 and 20,000 francs..
As of July 2018, the smallest note in regular use is 50 francs. ^ Linzmayer, Owen (2012). "Congo (Democratic Republic)". The Banknote Book. San Francisco, CA: www.BanknoteNews.com. ^ Congo Democratic Republic new 1,000-, 5,000-, and 10,000-franc notes reported Archived 2013-07-02 at the Wayback Machine BanknoteNews.com. Retrieved 2012-07-01. ^ Congo Democratic Republic new 5,000-franc note confirmed BanknoteNews.com. Retrieved 2012-08-03. ^ Congo Democratic Republic new 1,000-franc note confirmed BanknoteNews.com. Retrieved 2012-08-13. ^ Congo Democratic Republic new 10,000-franc note confirmed BanknoteNews.com. Retrieved 2012-08-20. ^ Congo Democratic Republic new 20,000-franc note reported BanknoteNews.com. November 7, 2012. Retrieved on 2013-03-10. 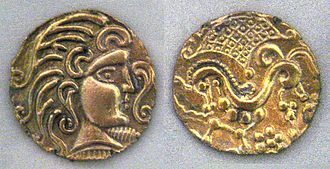 Wikimedia Commons has media related to Belgian-Congolese Franc. Rwanda, officially the Republic of Rwanda, is a sovereign state in central and east Africa and one of the smallest countries on the African mainland. Located a few south of the Equator, Rwanda is bordered by Uganda, Burundi. Rwanda is in the African Great Lakes region and is elevated, its geography is dominated by mountains in the west and savanna to the east. The climate is temperate to subtropical, with two seasons and two dry seasons each year. The population is young and predominantly rural, with a density among the highest in Africa, Rwandans are drawn from just one cultural and linguistic group, the Banyarwanda, although within this group there are three subgroups, the Hutu and Twa. The Twa are a pygmy people descended from Rwandas earliest inhabitants. Christianity is the largest religion in the country, the language is Kinyarwanda, spoken by most Rwandans, with English. Rwanda has a system of government. 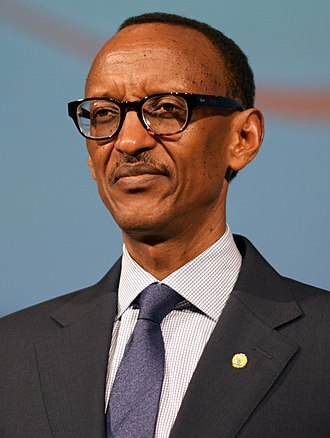 The president is Paul Kagame of the Rwandan Patriotic Front, who took office in 2000, Rwanda today has low corruption compared with neighbouring countries, although human rights organisations report suppression of opposition groups and restrictions on freedom of speech. The Zaire, was the unit of currency of the Democratic Republic of the Congo and of the Republic of Zaire from 1967 until 1997. All but six of the 79 series of banknotes issued bear the image of Mobutu Sese Seko, the Zaire, symbol, Z, or sometimes Ƶ, was introduced in 1967, replacing the Congolese franc at an exchange rate of 1 zaire =1000 francs. The zaire was subdivided into 100 makuta, each of 100 sengi, the sengi was worth very little and the only sengi denominated coin was the 10 sengi coin issued in 1967. Unusually for any currency, it was practice to write cash amounts with three zeros after the decimal place, even after inflation had greatly devalued the currency. Inflation eventually caused denominations of banknotes up to 5,000,000 zaires to be issued, after which the new zaire was introduced. In 1967, coins were introduced by the National Bank of Congo in denominations of 10 sengi,1 and 5 makuta, in 1973, the first coins issued by the Bank of Zaire were issued, cupro-nickel 5,10 and 20 makuta. The helmeted guineafowl is the best known of the guineafowl bird family and the only member of the genus Numida. It is native to Africa, mainly south of the Sahara, in the early days of the European colonisation of North America, the native wild turkey was confused with this species. The body plumage is gray-black spangled with white, like other guineafowl, this species has an unfeathered head, in this case decorated with a dull yellow or reddish bony knob, and red and blue patches of skin. The wings are short and rounded, and the tail is short, various sub-species are proposed, differences in appearance being mostly a large variation in shape and colour of the casque and facial wattles. This is a species, forming flocks outside the breeding season typically of about 25 birds that roost communally. Guineafowl are particularly well-suited to consuming massive quantities of ticks, which might otherwise spread lyme disease and these birds are terrestrial, and prone to run rather than fly when alarmed. Like most gallinaceous birds, they have a short-lived explosive flight, Helmeted guineafowl are great runners, and can walk 10 km and more in a day. They make loud calls when disturbed. Their diet consists of a variety of animal and plant food, fruits, snails, spiders and insects, lizards, small snakes and small mammals. Guineafowl are equipped with claws and scratch in loose soil for food much like domestic chickens. As with all of the numididae, they have no spurs, males often show aggression towards each other, and will partake in aggressive fighting which may leave other males bloodied and otherwise injured. The nest is a well-hidden, generally unlined scrape and a clutch is normally 6–12 eggs which the female incubates for 26–28 days and it has been noted that domesticated guineafowl hens are not the best of mothers, and will often abandon their nests. The keets are cryptically coloured and rapid wing growth enables them to flutter onto low branches barely a week after hatching and they may live for up to 12 years in the wild. The Democratic Republic of the Congo, known as DR Congo, DRC, DROC, East Congo, Congo-Kinshasa, or simply the Congo is a country located in Central Africa. From 1971 to 1997 it was named, and is still called, Zaire. It is the second-largest country in Africa by area and eleventh largest in the world, the Congolese Civil Wars, which began in 1996, brought about the end of Mobutu Sese Sekos 32-year reign and devastated the country. These wars ultimately involved nine African nations, multiple groups of UN peacekeepers and twenty armed groups, besides the capital, the other major cities and Mbuji-Mayi, are both mining communities. DR Congos largest export is raw minerals, with China accepting over 50% of DRCs exports in 2012, as of 2015, according to the Human Development Index, DR Congo has a low level of human development, ranking 176 out of 187 countries. The country was known officially as the Democratic Republic of the Congo from 1965 to 27 October 1971, in 1992, the Sovereign National Conference voted to change the name of the country to the Democratic Republic of the Congo, but the change was not put into practice. The countrys name was restored by former president Laurent-Désiré Kabila following the fall of longtime dictator Mobutu Sese Seko in 1997, some historians think that Bantu peoples began settling in the extreme northwest of Central Africa at the beginning of the 5th century and gradually started to expand southward. Their propagation was accelerated by the transition from Stone Age to Iron Age techniques, the people living in the south and southwest were mostly San Bushmen and hunter-gatherer groups, whose technology involved only minimal use of metal technologies. The development of tools during this time period revolutionized agriculture. This led to the displacement of the groups in the east and southeast. The 10th century marked the expansion of the Bantu in West-Central Africa. Rising populations soon made intricate local and foreign commercial networks that traded mostly in salt, iron. Belgian exploration and administration took place from the 1870s until the 1920s and it was first led by Sir Henry Morton Stanley, who undertook his explorations under the sponsorship of King Leopold II of Belgium. Patrice Émery Lumumba was a Congolese independence leader and the first democratically elected prime minister of Congo. Lumumba appealed to the United States and the United Nations for assistance to suppress the Belgian-supported Katangan secessionists, both parties refused, so Lumumba turned to the Soviet Union for support. 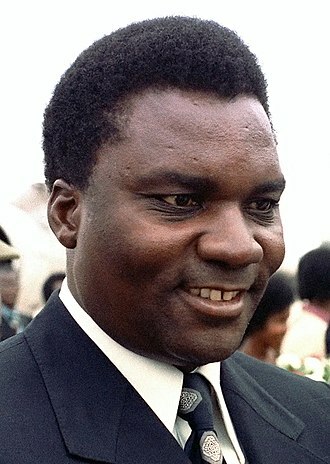 This led to growing differences with President Joseph Kasa-Vubu and chief-of-staff Joseph-Désiré Mobutu, as well as the opposition of the United States. Lumumba was subsequently imprisoned by authorities under Mobutu and executed by a firing squad under the command of Katangan authorities. The United Nations, which he had asked to come to the Congo, the United Kingdom, and the United States have all been accused of involvement in Lumumbas death. 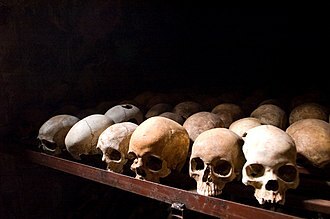 In 2002 Belgium recognised its involvement in the killing and apologised to Lumumbas family, in 2014, the United States recognised the CIAs active involvement. He was a member of the Tetela ethnic group and was born with the name Élias OkitAsombo and his original surname means heir of the cursed and is derived from the Tetela words okitá/okitɔ́ and asombó. He had three brothers and one half-brother, Lumumba spoke Tetela, Lingala and Tshiluba. Outside of his studies, Lumumba took an interest in the Enlightenment ideals of Jean-Jacques Rousseau. He was fond of Molière and Victor Hugo, therefore, he started writing poetry, with many of his works taking on an anti-imperialist theme. He worked in Léopoldville and Stanleyville as a clerk and as a travelling beer salesman. In 1951, he married Pauline Opangu, in 1955, Lumumba became regional head of the Cercles of Stanleyville and joined the Liberal Party of Belgium, where he worked on editing and distributing party literature. After traveling on a study tour in Belgium, he was arrested in 1955 on charges of embezzlement. His two-year sentence was commuted to twelve months after it was confirmed by Belgian lawyer Jules Chrome that Lumumba had returned the funds and he was released in July 1956. After his release, he helped found the Mouvement National Congolais party on 5 October 1958, Lumumba himself had a large popular following, due to his personal charisma, excellent oratorical skills, and ideological sophistication. The park was established in 1925 as Africas first national park and is a UNESCO-designated World Heritage Site since 1979. In recent years and the Congo Civil War have seriously damaged its wildlife population, the current park director since 2008 is the Belgian Prince Emmanuel de Merode. The park was created in 1925 by King Albert I of Belgium as the first national park on the continent of Africa. Land remuneration and the use of resources such as fishing and hunting by the local population became an ongoing problem. When the Belgians granted Congo independence in 1960 the new state deteriorated rapidly and it was only in 1969 when President Mobutu began to take a personal interest in conservation, that the park was revived. In the process of Mobutus Africanization campaign, it was renamed Virunga National Park, Virunga fared well for the better part of the 1970s. Foreign investment helped to improve the infrastructure and training facilities. In 1979 UNESCO designated the park as a World Heritage Site, in the mid-1980s the Mobutu regime began to lose its hold on power and the country began a long slide into chaos. Poaching depleted Virungas large mammal populations, infrastructure was destroyed, the Congolese Wildlife Authority slowly lost control of Virunga and UNESCO changed the World Heritage Site status to endangered. 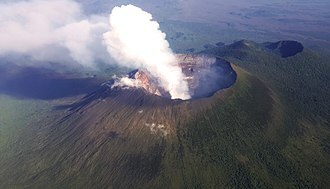 In 2013 the World Wildlife Fund raised concerns about plans by the UK based Soco International to carry out exploration for oil in the park, currently more than 80% of Virunga National Park has been allocated as oil concessions. Soco Internationals own environmental impact assessment reports admit that oil exploration is likely to cause pollution, irreparably damage habitats, the World Wildlife Fund have launched a campaign to petition Soco to refrain exploring the world heritage area for oil, and thereby avoid these outcomes. As of August 30,2014, SOCO demobilized its operations in the DRC, World Wildlife Fund executives now acknowledge that the battle over Virunga is hardly over. SOCO has yet to relinquish its operating permits or commit to an unconditional withdrawal, Virunga National Park is unrivaled in its diversity of landscapes and ecosystems. The Belgian Congo was a Belgian colony in Central Africa between 1908 and 1960 in what is now the Democratic Republic of the Congo. Colonial rule in the Congo began in the late 19th century, King Leopold II of the Belgians persuaded the government to support colonial expansion around the then-largely unexplored Congo Basin. 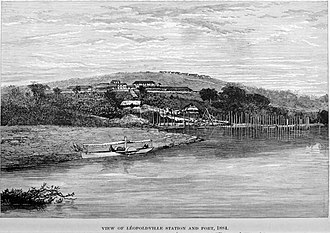 Their ambivalence resulted in Leopolds creating a colony on his own account, with support from a number of Western countries, Leopold achieved international recognition for a personal colony, the Congo Free State, in 1885. Belgian rule in the Congo was based on the trinity of state, missionary. The privileging of Belgian commercial interests meant that large amounts of capital flowed into the Congo, the country was split into nesting, hierarchically organised administrative subdivisions, and run uniformly according to a set native policy. This was in contrast to the British and the French, who favoured the system of indirect rule whereby traditional leaders were retained in positions of authority under colonial oversight. The Congo had a degree of racial segregation. The large numbers of immigrants who moved to the Congo after the end of World War II came from across the social spectrum. During the 1940s and 1950s, the Congo had extensive urbanisation, one of the results was the development of a new middle class of Europeanised African évolués in the cities. By the 1950s the Congo had a labour force twice as large as that in any other African colony. This ended with the seizure of power by Joseph-Désiré Mobutu, until the part of the 19th century, few Europeans had ventured into the Congo basin. The rainforest and accompanying malaria and other diseases, such as sleeping sickness. After Henry Morton Stanley had explored the region in a journey that ended in 1878, Leopold courted the explorer, Leopold II had been keen to acquire a colony for Belgium even before he ascended to the throne in 1865. 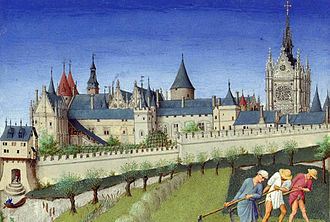 The Belgian civil government showed little interest in its monarchs dreams of empire-building and stubborn, Leopold decided to pursue the matter on his own account. The Central African CFA franc is the currency of six independent states in central Africa, Central African Republic, Republic of the Congo, Equatorial Guinea and Gabon. These six countries have a population of 48.0 million people. CFA stands for Coopération financière en Afrique centrale and it is issued by the BEAC, located in Yaoundé, for the members of the CEMAC. The franc is nominally subdivided into 100 centimes but no centime denominations have been issued, in several west African states, the West African CFA franc, which is of equal value to the Central African CFA franc, is in circulation. The CFA franc was introduced to the French colonies in Equatorial Africa in 1945, the Equatorial African colonies and territories using the CFA franc were Chad, French Cameroun, French Congo and Ubangi-Shari. The currency continued in use when these colonies gained their independence, Equatorial Guinea, the only former Spanish colony in the zone, adopted the CFA franc in 1984, replacing the Equatorial Guinean ekwele at a rate of 1 franc =4 bipkwele. In 1948, coins were issued for use in all the colonies in denominations of 1 and 2 francs and this was the last issue of a 2-franc coin for nearly 50 years. In 1958, 5-, 10- and 25-franc coins were added and these bore the name Cameroun in addition to États de lAfrique Equatoriale. In 1961, nickel 50-franc coins were introduced, followed by nickel 100-franc pieces in 1966, from 1971, the 100-franc coins were issued by the individual states. In 1976, cupro-nickel 500-franc coins were introduced, from 1985, these were issued by the individual states. That year saw the introduction of 5-, 25-, 50-, in 1996, centralized production of the 100-franc coin was resumed, with a single 500-franc coin reintroduced in 1998. In 2006, a steel 2-franc coin was introduced, when the CFA franc was introduced, notes issued by the Caisse Centrale de la France dOutre-Mer in denominations of 5,10,20,100 and 1000 francs were in circulation. In 1947, a new series of notes was introduced for use in French Equatorial Africa, notes were issued in denominations of 5,10,20,50,100 and 1000 francs, followed by those of 500 francs in 1949, and 5000 francs in 1952. The new Katangese government did not enjoy full support throughout the province, especially in the northern Baluba areas. The state is now Katanga Province, part of the Democratic Republic of the Congo, the declaration of independence was made with the support of Belgian business interests and over 6,000 Belgian troops. Tshombe was known to be close to the Belgian industrial companies which mined Katangas rich resources of copper, Katanga was one of the richest and most developed areas of the Congo. Without Katanga, Congo would lose a part of its mineral assets. Belgium did not officially recognise the new state, despite providing it with military assistance, a military force designated the Katanga Gendarmerie, raised by the Tshombe government, was initially organised and trained by Belgian Army officers and subsequently by European mercenaries. The Katangese government went on to appeal for Belgian military aid to support their unilateral declaration of independence. Tshombe was seeking support and recognition from the United States for his cause, a common myth in 1961 among the United Nations in general was that Katanga was an expression of indigenous nationalist sentiment. However, this was only in part. The political leaders of the districts in the province were actively opposed to independence. In reality, secession proved to be a designed to preserve the comparative wealth of Katanga. Lumumba solicited urgent military assistance due to the government in Leopoldvilles inability to maintain order in the massive country. He went on to blame post-independence Belgian intrigues for the present crisis, inside the United Nations itself, feelings towards Katanga were generally mixed. Britain and France remained neutral, the latter quietly hostile towards the idea of peacekeeping in Congo. The British initially provided assistance to the UN troops who were eventually dispatched. Portugal and the Union of South Africa were openly hostile towards the operation from its very conception, the commander of the new gendarmery, Major Crèvecoeur, called for former officers of the Force Publique who had left the Congo after the July troubles or were in Katanga. The numbers of the new force were originally fixed at 1,500 volunteers from sixteen to twenty-one years of age recruited from ethnic groups. Charles V, Holy Roman Emperor. Polders along the Yser river. The headquarters of the Bank for International Settlements, in Basel (Switzerland). 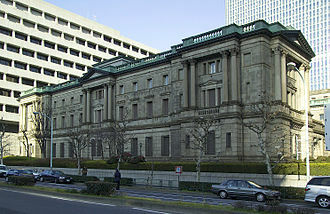 The Bank of Japan, in Tokyo, established in 1882. Belgian zinc coins made during World War II. The obverse (top) and reverse of the Belgian banknote of 1929 featuring Ceres, the Belgian Lion and Neptune. A Union Minière du Haut-Katanga (UMHK) copper mine, pictured in 1917. Katanga's mineral wealth played an important part in the secession. A Katangese postage stamp issued in 1961. Although Katanga was not a member of the Universal Postal Union, its stamps were tolerated on international mail. Swedish troops detain white Katangese mercenary. Katangese gendarme guards Swedish ONUC soldiers taken prisoner. The town of Mbandaka is a busy port on the banks of the Congo River. The Congo River at Maluku. Congo River Allegory by Thomas Vinçotte. Colonial officials, including the Governor-General Pierre Ryckmans, in Léopoldville in 1938. A Belgian pilot in the British Royal Air Force, 1942. His Spitfire aircraft was funded by contributions from the Congo, and took its name, "Luvungi", from the Congolese town of that name. Obverse: Marianne wearing the Phrygian cap of liberty. Cowry shells being used as money by an Arab trader. Song dynasty Jiaozi, the world's earliest paper money. 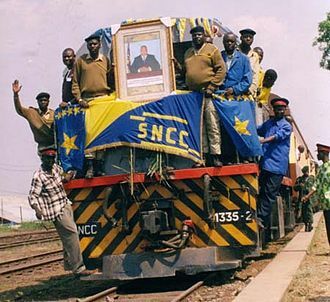 All aboard - a train from Lubumbashi arriving in Kindu on a newly refurbished line. Southern Central Africa in 1890 showing the central position of Msiri’s Yeke Kingdom and the principal trade routes, with the approximate territories of Msiri’s main allies (names in yellow) and the approximate areas occupied by European powers (names in orange — does not show spheres of influence or borders). The east coast trade was controlled by the Sultan of Zanzibar. Areas of influence of other tribes and of France and Germany are not shown. The Paris Opera was the centrepiece of Napoleon III's new Paris. 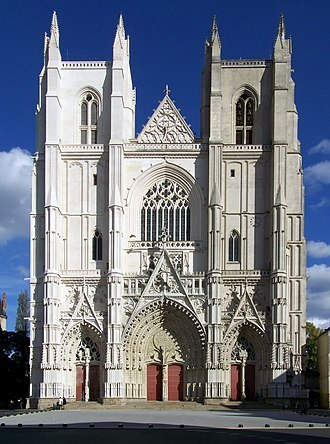 The architect, Charles Garnier, described the style simply as "Napoleon the Third."